Valentino Rossi took Q2 at Mugello today so we’ve got a little more MotoGP content to celebrate and build up on the GP excitement going in to tomorrow’s race. So here’s a fun fact for you: each MotoGP motorcycle is locked away, under surveillance, and estimated to be worth approximately $2 million USD. Why are they so costly? Read on to find out. MotoGP bikes are one-off custom motorcycle builds. They use the latest innovation and know-how in the motorcycle business, says Julian Thomas of Ducati. “Each engine is individually made,” says Yamaha’s Bob Starr. The motors stay locked up through the GP season, and the teams are typically not allowed to open them or make any adjustments. “Therein lies a lot of the cost,” says Starr. “Engines have to be designed to give peak performance and to be reliable” through as many races as possible. The one-off nature of the elements produced for MotoGP bikes dramatically impact the overall cost as well. When factories produce CBR1000RR, they manufacture in components in batches of thousands at a time. Factories are programmed to take advantage of economies of scale. Though factories use third-party suppliers for components, like Ohlins for suspension, MotoGP bikes are produced, fine-tuned and customized for every rider. The average rider can spend about $1,000-$15,000 to improve their front end with Ohlins components. 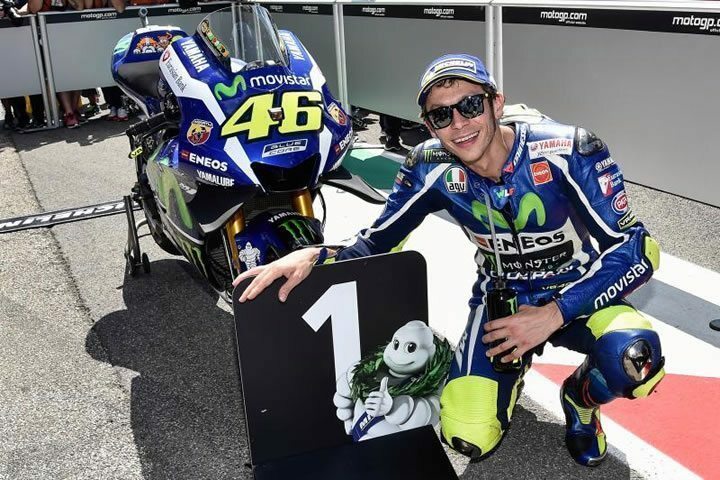 Front forks for Yamaha’s MotoGP bikes? About $100,000. Think that’s a lot? The motors are the costliest. On Honda’s MotoGP bikes, the engines are valued around $220,000. Titanium, magnesium, carbon fiber and other high end materials are used, from the engine to chassis to the fairings, to keep the bikes light but strong. Brake rotors on standard street bikes are made of forged iron, but on Moto GP bikes, carbon fiber is used. Metal and plastic that cost pennies to a dollar per pound are replaced with carbon fiber, which cost $10 a pound. The amount of technology in MotoGP bikes is phenomenal. Spring valves are replaced with pneumatic valves. Seamless transmission is put in to allow for super-slick clutchless shifting. The bikes have from 30 to 40 sensors gathering data on suspension, brakes, temperatures, steering, all of which is is analyzed after the races and practice sessions. MotoGP parts are made for optimal performance and extreme conditions. They aren’t made for long lifespan and some elements only last for a few hours of use, while their street bike counterparts could last for tens of thousands of miles. Tires, brakes, oils, and other wearables need dramatically more frequent replacement. The $2 million dollar price tag doesn’t even include the full time salaries of team mates, the time spent on research and development, and the special tools and technology needed for all of the above. If these were factored in, the costs of each bike would increase exponentially. Ok, let’s be real. 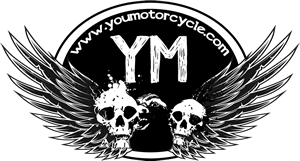 Not all of us own a mainstream motorcycle manufacturer. To afford your own MotoGP bike, you’ll want to start saving $1,000/month, every month, beginning in the year 1850. If you’re not 200 years old, you can try making your fortune in online trading. My friend’s husband trades on Binary Uno to earn full time income while waiting for his work visa to be approved. Canadian citizens can also check out The Globe and Mail’s 17th annual online broker ranking for more local options. Alternatively, if this is all a bit much, you can look at some of the back to the basics principles that I used to buy a house on my own as a 25 year old. 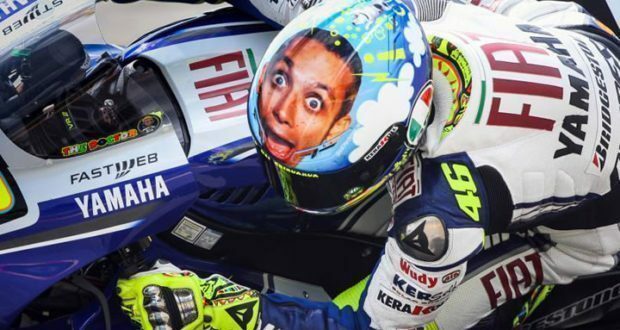 If you’re less concerned with financials and happy watching GP and other things that go fast, check out this article from earlier in the week: Valentino Rossi Meets His Inhuman Replacement. Next: Kafe Adjustable Motorcycle Wheel Chock | Towing Tuesdays! Must be allot of people paying to watch races for the prices to be worth it. It’s definitely a marketing venture. Well, not entirely. Obviously, the track is great for research and development. It’s similar to how advances in technology in the military and warfare trickle down leads to progress that trickles down to the end/average consumer. So that’s the first benefit / first part of the team’s return on investment. The marketing side of it is huge. If your team is winning Moto GP world championships every year, or factory team championships every year, and John Smith in your home town decides he wants to be a litre bike superbike, there’s a good chance he wants to know who the best in the world in, and those world titles are gonna have some influence when he walks into a dealership. That’s the hope, anyway.